Hi Ananda, I like this shot very much. 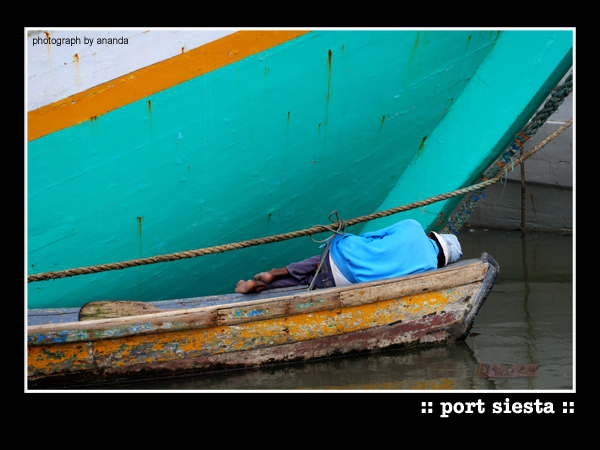 I like your nice tight crop, the bright colors of the boat, and the diagonals of the colors. And of course, it tells a story. A few things ... you can post as large as 800 pixels, and it's a good idea to do so. Also, I'm not a fan of the title in the frame or the signature... for me, it distracts from the shot. Just my personal opinion. Still, a very fine shot.